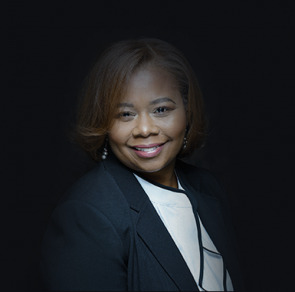 Rochelle M. Ponder Ed.D, has been an administrator for the past several years in Public Schools in Detroit, Michigan. She has 20 years of experience in the field of public education working in many leadership capacities and serving various age groups (Kindergarten through Adult Education). In 2007, she served as principal of middle school students and became an expert working with the most challenging, yet most misunderstood age group: “tweens and teenagers (11-14)”. Dr. Ponder is a native of Detroit, Michigan and a product of public school education. While attending college at Wayne State University, she discovered her passion for education. She strongly believes that education is the key to success for all people regardless of socioeconomic status or background. Also, she prides herslef on the principle that all students can learn given a conducive learning environment, dedicated teachers and applicable skills. A natural leader, Dr. Ponder has worked with diverse teaching staffs and has the innate ability to motivate people to achieve a common goal. Using strategic problem solving skills has allowed her to implement several research based modalities in raising student achievement, while accelerating “catch-up” growth for students that are not on grade level. Her understanding of the importance of intrapersonal relationships has assisted in earning the respect of her colleagues, staff, students and parents alike. As a Team, the daily goal is to implement rigor into the curriculum and raise student achievement while teaching civic responsibility and character. This year she began publishing her research on the marginalization of African American students in special education and publishing a book on effective administrative practices in education.